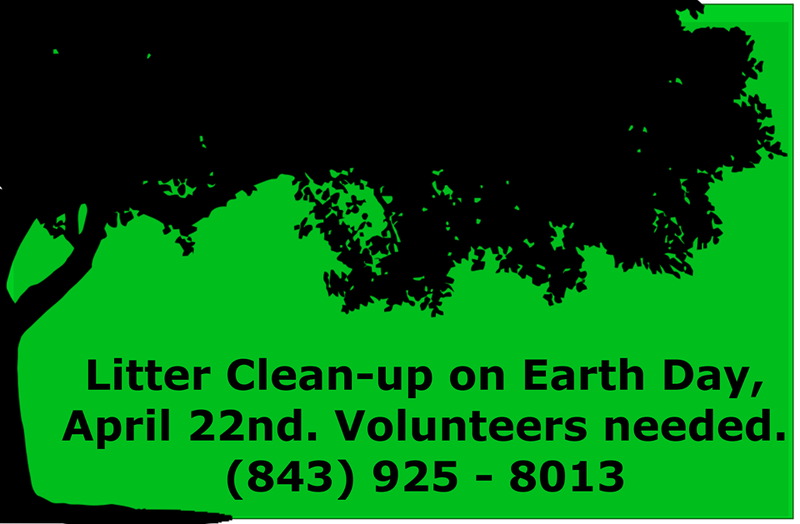 On Monday the 22nd of April Colleton, Jasper, Hampton and Beaufort counties are getting together for a mass Earth Day Cleanup. (See attached flyer) Your help is needed! This event will also be in preparation for Rice Festival, the following weekend. Please make an effort to clean your adopted streets to tell all those who come to this city that we take PRIDE in our community.